In the late 1970s, Jobs—along with Apple co-founder Steve Wozniak, Mike Markkula and others—designed, developed, and marketed one of the first commercially successful lines of personal computers, the Apple II series. In the early 1980s, Jobs was among the first to see the commercial potential of Xerox PARC's mouse-driven graphical user interface, which led to the creation of the Apple Lisa and, one year later, the Macintosh. After losing a power struggle with the board of directors in 1985, Jobs left Apple and founded NeXT, a computer platform development company specializing in the higher-education and business markets. In 1986, he acquired the computer graphics division of Lucasfilm Ltd, which was spun off as Pixar Animation Studios. He was credited in Toy Story (1995) as an executive producer. He remained CEO and majority shareholder at 50.1 percent until its acquisition by The Walt Disney Company in 2006, making Jobs Disney's largest individual shareholder at seven percent and a member of Disney's Board of Directors. 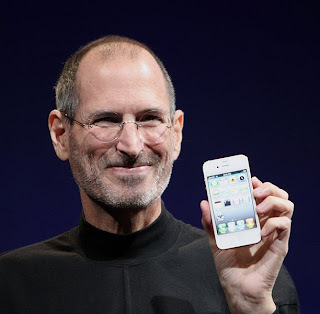 Apple's 1996 buyout of NeXT brought Jobs back to the company he co-founded, and he served as its interim CEO from 1997, then becoming permanent CEO from 2000 onwards, spearheading the advent of the iPod, iPhone and iPad. From 2003, he fought a eight-year battle with cancer, and eventually resigned as CEO in August 2011, while on his third medical leave. He was then elected chairman of Apple's board of directors.